Unique invitations, decorations, cakes and cupcakes plus welcomed favors are all here in this farm themed birthday party round-up! What birthday boy wouldn’t have fun down on the farm? Fresh air, wholesome food, amicable livestock and a wagon load of friends make this a popular boy birthday party theme. Whether you actually have a farm as your venue or just want to reference all that it stands for, you’ll discover imaginative approaches to include at your celebration. This barnyard carnival is a great way to celebrate a special birthday boy. 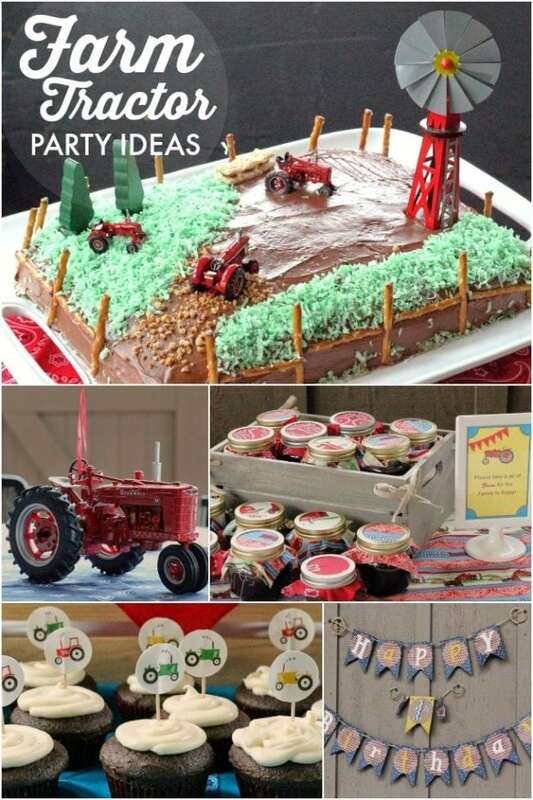 Your guests will love this tractor themed boy’s birthday party. Feast your eyes on this wonderful farm themed birthday party featuring an unbelievable amount of style and detail. Classic particulars and innovative touches are combined to create one special celebration for the birthday boy of honour. The dessert table includes all sorts of themed desserts presented in fun and creative ways. Be sure to check out the bushels of apple sugar cookies, fondant carrot topped cupcakes, and impressive fondant cake. This first birthday party was the perfect celebration for an animal loving little boy. Party guests were welcomed a rustic burlap and cow print wreath, grabbed some straw hats and monogrammed bandanas, then headed inside for farm food and a surprise animal visit. The cute food offerings included kid friendly peanut butter and jelly sandwiches, cow pie brownies, super cute farm animal cupcakes, and a cow print smash cake. Printable decorations and local farmyard were paired to create a wonderful space for this joint barnyard farm birthday party. The beautiful dessert table set is set in front of a giant red barn backdrop, decorated with faux grass, fresh cut sunflowers, bales of hay, and a white picket fence. Among the tasty, farm themed treats are homemade rustic apple and berry pies, hatching chicks cake pops, and sugar cookies that looked like horses and cows! Who knew that a barnyard birthday party could look so sweet and soft? These excellent party planners created a farm inspired party with a feminine touch by incorporating sweet cottage flower prints and a pastel color palette. Farm fresh egg cake pops, assorted farm animal cookies, a pretty patterned fondant cake and farm animal macarons are just some of the highlights of this sweet affair. A burlap covered straw bale table is topped with mini apple pies, tractor cookies, cupcakes, chocolate tires and more taste tempting treats. It’s even fun just to look at this party. From the festive welcome wreath to the adorable decorated straws, this farm themed second birthday is filled with inspiring decorative details. I love the use of fun farm patterned fabrics, personalized printable decorations, and wonderful age-appropriate activities. Party guests were welcomed by a beautiful wreath made with scrap rainbow fabrics and mini tires, and had the chance to create their own tractor craft. Every inch of this party space looks fabulous and perfectly encapsulates the adorable farm theme. The room is decorated with white tables and shelves decorated with brightly colored felt backdrops and a whole collection of farm animal stuffed animals. The dessert table features an impressive spread of sweets, including farm animal topped cupcakes, personalized cookie pops, and egg skillet pudding cups. Jackie of The Little Nook put together this sweet rustic birthday party for her twin children. The tables were created out of haystacks topped with red and white gingham tablecloths look perfect with till lunch baskets set on top. In addition to a petting zoo of farm animals, party activities included fun games like find the needle in the haystack and apple bobbing. Pint sized guests were sent home with red bandanas and cowboy hats, too! Don’t have a barn for your barnyard bash? No problem! 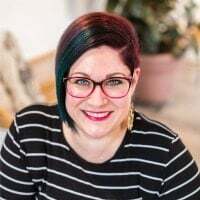 Take inspiration from this perfect party planner and build your own red barn façade with a shadow box, some spare lumber, and a few sample sized paint cans. Yee-Haw and Gulp and Grub banners welcomed guests to the delightful party space with hay bale seats, cow print plates, and a variety of farm animal inspired sweet treats. This barnyard themed first birthday party is one over the top bash. It would work perfectly for any child who loves animals and being out of the farm. Darling guest tables and a stunning spread of desserts all come second to the amazing backdrop of child-sized barns, animals, and tractors. Also be sure to check out the darling barnyard themed fondant cake. It is filled with so many beautiful details and cute ideas. There are all sorts of witty decorations on this marvelous buffet that transport you right to the farm. Dipped apples that are disguised as farm animals plus the fabulous animal candies are just two of my favorites here. For a precious set up of sweet treats and savory snacks, take inspiration from Pedro’s Farm themed celebration. Woven baskets lined with red gingham napkins were filled with various sweet squares and then topped with an adorable clothesline bunting, tiny faux mice scurried across the dessert table, and rustic cut wood platters created a beautiful table display. Don’t forget the adorable cow print cake with personalized cowboy topper. A wagon wheel and a darling cake stand out in the midst of a winning dessert table. This party planning mom created a wonderful barnyard bash for her son using items from around the house and a few simple pieces of décor. Multicolored bandanas are found throughout the party, making the perfect tablecloths and centerpieces. The birthday boy’s grandmother made the fun tablecloth with denim pockets to hold all of the utensils and leave more room on the table for treats. This entire table presentation is delightful! From the little red chick party favors to the absolutely adorable barnyard animal cake pops, every detail of this farm-inspired third birthday party is super fun. Brownie truffles are perfectly displayed in miniature flower pots tied with a pretty bow, little chick desserts are nestled in a cracked egg shell, and beautifully decorated barnyard animal cookie pops are stuck into a pumpkin. For her son who loves animals, Thuy of Paper Pinwheel transformed her backyard into an amazing barnyard birthday party! She used clever western inspired signage for each party station, whipped up some classic sweets, and styled creative animal desserts for a sunny day out on the farm. Cow and pig cake pops were propped up in mini hay bales with little white picket fences. I also love the super fun prop station available to guests. I couldn’t imagine a more adorable or more detailed birthday party than this. The party planners did such an amazing job putting the themed snacks together as well as the white picket fence displays and raffia hay bales. Every sweet treat and tasty snack was displayed in a perfectly on theme way. Deviled eggs were served in a table-sized chicken coop and corn pop cereal treats were served to look just like corn on the cob! This big red barn party for two adorable twins is a double dose of fun. I love the festive fun that is created with adorable animal chair covers complete with barnyard animal masks for guests, cow print balloons all over the party space, and cheerful shades of green and red decorating tables. Notice the ears of corn that are in the middle of the table made of caramel corn and the egg cartons at each place setting filled with yummy sweets. When vintage flair meets classic country, a boy’s vintage farm themed party is born! This talented party planner designed a darling boy’s first birthday dessert table with an array of gorgeous desserts, cool vintage props and bright decorations. The combination of pretty pinwheels, paper chain buntings, vintage wooden crates, and woven baskets on an authentic farm table create a fresh take on a boy’s farm themed party. Vibrant shades of cherry red, aqua blue, and blush pink create a beautiful color scheme for this feminine farm party. The dessert table is a fantastic display and clearly the centre piece of the whole party. A beautiful baby pink gingham, tablecloth is topped with pretty pink vintage crates and cake stands, a personalized bunting complete with tissue paper pompoms, and jars of rock candies tied with cherry red bows. All of the details of this farmyard fun birthday party come together to create the perfect celebration for one year old twins. Textured burlap, patterned gingham fabrics, and pops of cherry red set the scene, along with hay bale chairs and a proper barnyard entrance. The dessert tables were filled with homemade farmyard themed treats including frogs in jello ponds, egg cupcakes, chuck feed pretzels, and Oreo tractor wheels. What is cuter than a barnyard playdate party? No matter what occasion you have on your hands, kids are going to love this cute and colorful farm inspired theme. From chevron burlap ribbon to adorable first place treat bags, this summertime party is sure to please. With cake pops, cupcakes, and more, there wasn’t a lack of adorable sweet treats to go around. I also love the sunflowers and fabric garland! What fun the kids had; looks like playing with straw bales is on par with cardboard boxes. Horses star at this barnyard with horse-on-a-stick cake pops, cookies and a pin-the-(raffia) tail on the horse game: sweet! A vintage loving mommy and two animal loving three year olds inspired this wonderful vintage farm party. The best part of the whole party is the location, as party guests gathered on an actual farm! The stunning dessert table was decorated with pretty polka dots and scrap fabric banners topped with vintage wooden crates and paper wrapped tins filled with flowers. Guests helped themselves to all sorts of sweet treats like candy apples and fruit salad. I am in love with the periwinkle and orange color palette of this party, offset by strikingly fun pops of iconic black and white cow print. Cacti, hay bales, egg crates, and bandanas also played a prominent role in the styling. The beautifully decorated dessert table was filled with sweet treats like cow print chocolate dipped apples with bells, a barnyard bandana cake, and a variety of yummy Brazilian snacks. Inspired by her twins’ farm themed nursery, this party planning mom styled a fabulous birthday party filled with sweet details. Classic red and white gingham was used throughout the party, along with mason jars filled with gerbera daisies and fun barnyard animal motifs. I love the matching piggy smash cakes made for the twins, as well as the scrap fabric tasseled banners decorating the twins’ highchairs! When I saw this amazingly styled party inspired by a beautiful day on the farm, I just couldn’t wait to share it. The dessert table is the shining star of this wild western party, with wonderful and creative details and tasty treats for party guests. My favorite touches include the bushel of red apple cake pops, pudding cups topped with miniature straw hats, popcorn paper cones. I also love that they hung two vintage frames filled with pictures above the table. This farm barn birthday party perfectly combines printable paper decorations, farm themed sweets and treats, and fun activities for party guests. The big red barn cake and happy sunshine cupcakes are only two of the many treats on the table. My favorite decorating idea has to be the mini white picket fences decorating the table, made with painted popsicle sticks. From cake pops to cowboy hats, this farm yard second birthday party was a hit with guests and the styling is fabulous. Knowing that the birthday boy was a huge animal lover, this party planner incorporated barn yard animals into all of the décor. Once the red barn backdrop was chosen the rest just seemed to fall into place! Cow and sheep cake pops rested in fields of fringed green grass, and chicken cake pops sat in pails of candy coated eggs. Every child has been through a cowboy phase that included a big straw hat and a pair of cowboy boots. The cowboy dream came alive for this little boy at his country farm themed birthday celebration filled with rustic charm. The party was held at a beautiful family farm decorated with natural props like mini hay bales, galvanized steel buckers, and red checkered tablecloths layered with burlap. Lucca’s little farm bash was a beautiful birthday party filled with colorful decorations and fun farm animal details. So much creativity went in to making farm animal inspired sweets and treats for the dessert table! Be sure to check out the farm animal chocolate covered apples complete with red gingham bows, mini Twinkies horse heads, little chicken marshmallow pops, and beautiful three-tiered fondant cake. Fresh and modern with the perfect number of classic touches, this barnyard first birthday bash is simply adorable. The dessert table is beautifully set, with a cow print backdrop decorated with red gingham fabric letters spelling out moo! The desserts themselves are equally creative, from yummy farm animal sugar cookies to glass milk jars covered with cow print. I also love the mini chalkboards used to mark all the treats. A magical balloon barn backdrop sets the scene for this super fun first birthday party. The delicious dessert table is decorated with artificial grass, miniature bales of hay, and tin milk cans filled with harvested grasses. The sweets treats offered on top are impressive, too! The centre of attention on the dessert table was a beautiful two-tiered fondant cake topped with adorable little pig and sheep characters. Throw on your work boots and head down on the farm for this boy’s barnyard bash. Created for a sweet one year old’s celebration, it is full of so many farm fresh details that you are going to go crazy for. Inspired by a handmade birthday banner from Etsy, the cow print and gingham prints are perfectly paired with farm animal graphics. And just when you think it can’t get any cuter, make-your-own farm animal balloons showed up! What a dear first birthday party! The cake is especially cute, too. Different stations set up in the backyard allowed these party guests to experience a day in a farmer’s life, from picking farm fresh eggs and fruits to getting a wheelbarrow ride! It was a great way to celebrate and teach guests about life at a farm. After all of their hard work, guests were invited to relax and grab some nibbles from the food tables. Adorable piggy cake pops and cow print marshmallow pops were among the treats served. This farm themed party is so darling and filled with beautiful details. It would be great for any little boy or girl who loves barnyard animals. I love the cute birthday banner that looks just like packets of seeds and the burlap and farm print pennant banners strung throughout the space. The birthday boy was easily recognizable with a little farmer’s outfit, complete with denim overalls and a straw hat! Old MacDonald may have had a farm, but Levi had an adorable farm themed second birthday party! The personalized details, delightful printable invitations, and amazing dessert table will certainly leave you smiling. Blue, orange, yellow, and mint make a lovely yet masculine color combination and adorable felt animal masks were the perfect surprise for party guests. I also love the “farm livin” sign hung above the dessert table. 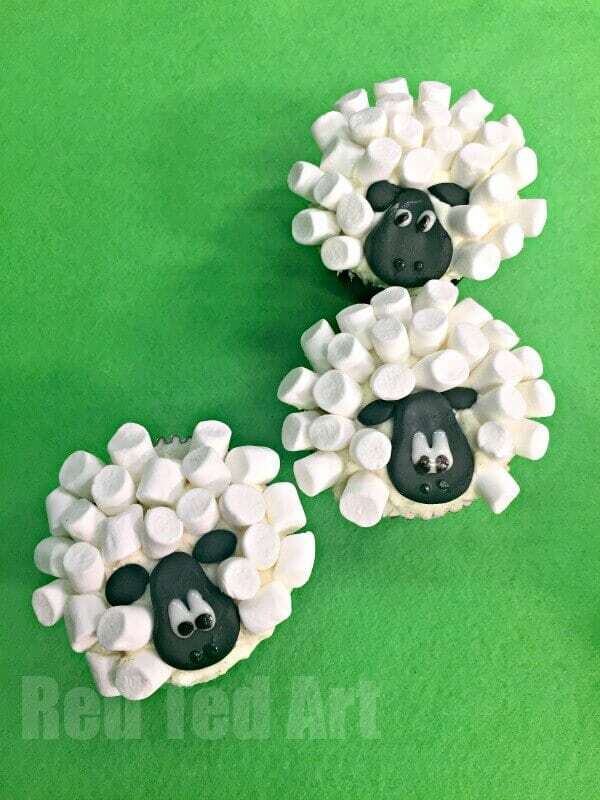 See how easy it is to create these super cute sheep cupcakes made from marshmallows.